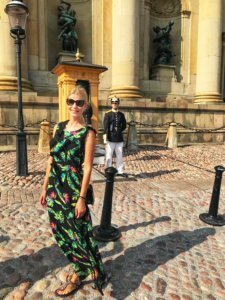 Stockholm – my personal tips for a short trip! 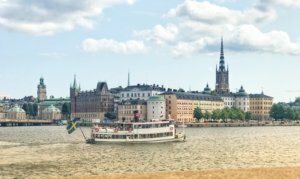 For me Stockholm belongs to the most beautiful cities in Europe. I have been there twice, the last time just recently a couple of weeks ago. The way it is situated amazes me every time: Stockholm is spread on several islands. This alone turns Scandinavia’s biggest city into something special. I have to admit that I am a real fan of royalties. Once I have interviewed Queen Silvia and King Carl Gustav as well as Crown Princess Victoria. Therefore it was super exciting for me to get to know there home country more deeply. 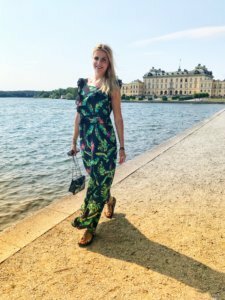 Here you will find my personal tipps for a short trip to one of my favorites cities. Of course the royal family is not uncontroversial among the Swedish people as they cost quite a lot. Therefore only half of the Swedish are on the side of the monarchy. To be honest I still devour the stories of the sometimes scandalous royal family. 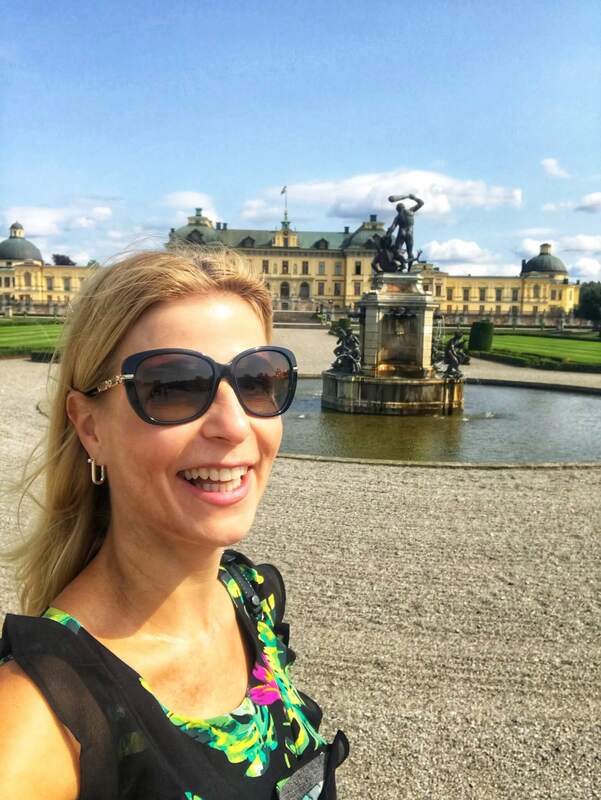 So it was absolutely clear for me: I first needed to visit Drottingholm Castle. 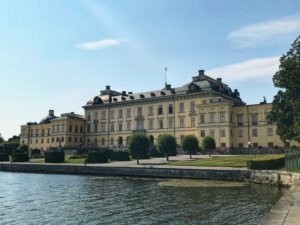 This is where the originally German Queen Silvia and her husband King Carl Gustav XVI have been living for many years. The whole estate around the picturesque baroque castle with its pleasure garden and parc a bit outside of the lively metropolis really is a beauty. 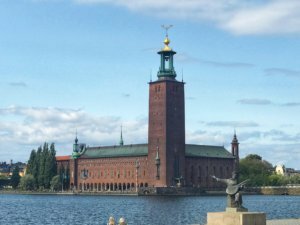 If you are a history fan you should visit the district Riddarholmen. 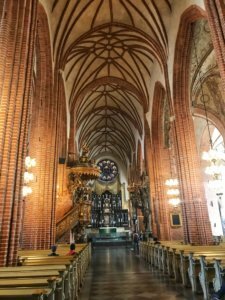 There you will find the funeral church Riddarholmskyrkan from the 13th century. More than 60 members of the Swedish royal family are buried here. From there you can easily take a boat for a tour towards the city hall. In general it is great to take a look at Stockholm from the water. And from the city hall’s tower you have a great view over the city. Swedish are friendly people. Even the guard in front of the castle cracks a joke sometimes. On I follow the marks of the royal family inside the city castle Kungliga Solltet the working space of the royal family. You can learn a lot there about the history of the viking nation. Next to the rooms you can also visit the castle’s church or the royals treasure at the museum. And if you are lucky you might even encounter a member of the royal family. When I met Queen Silvia and Crown Princess Victoria I found them extremely friendly and down to earth. And of course I was interested where they all got married. Basically opposite in the Nikola church, Stockholm’s Dome. By the way, the dome was mentioned for the first time in 1279 and takes a key role with the history of the Swedish reformation. The church as well as the castle are situated within my favorite district Gamla Stan. You should definitely take your time to stroll through the old city as you will experience a journey through time there. „Mårten Trotzigs Grand“ is the most narrow alley. There is so much going on there. Right around the main square where the Nobelmuseum is situated you will find innumerable , cafes and restaurants. It is well known that Swedish people love to go out to eat. I am sure that the IKEA customers among us know „Köttbullar“, meatballs in a sauce. That is virtually the Swedish national dish! Fika and a coffee: typical Schwedish! 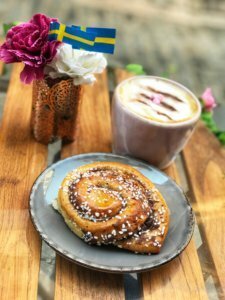 But you should also definitely try a cinnamon bun called Fika as the name means something like meeting friends. Order a coffee with it and your heart wil beat a bit in a Swedish beat. 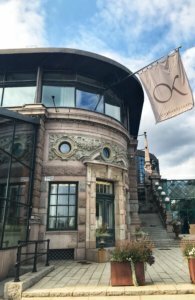 Right next to the city hall you will find the praised restaurant Stadshuskällaren where the nobel prize winners go to eat every year after the award ceremony. You can even order al the meals form the previous nobel menus! How cool is that? In the center of the old city I discovered the The Hairy Pig Deli. If you fancy dishes such as pulled pork this cozy eatery is the right place to go to. Just a few minutes away on foot you will find the lovely Under Kastanjen. The favorite pub of the King! As the name reveals the pub is situated underneath a chestnut tree. In the summertime you can eat on a small terrace outside. Here you will be served typical Swedish dishes as well as home made cakes and delicious sweets. If you want to dine like a royal visit Opera Källaren, the restaurant next to the opera. The King of Sweden likes to order his food here sometimes if his cook is unavailable. It offers a genuine menu which is sufficient for the royal palate. In general you should consider that it’s best to reserve a table in advance! In the main season you barely have a chance to find a seat spontaneously. 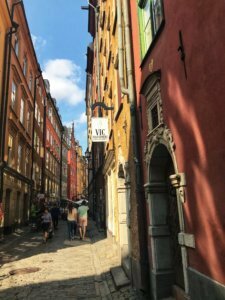 If you want to push along after your dinner – you will find out how cool Stockholm is! 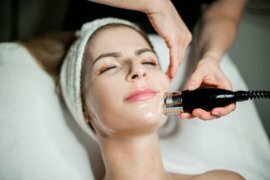 Be it the Grand Hotels which has a high potential of celebrities as even Madonna was a guest here once, Vassa Eggen or Le Rouge where you will meet a very trendy crowd or in the summer the Orangerie right by the water. The citizens of Stockholm love to go out even though alcoholic beverages are not cheap here. To go shopping isn’t cheap either. I have a weak spot for Swedish design and labels such as Acne or Filippa K but the prices of these design labels are mostly way beyond affordable especially in the street Sturegallerian which is one of the most expensive district with sublime stores. But luckily there are also easygoing quarters such as Norrmalm with the pedestrian zone Drottningsgatan and main stream shops like H&M. Swedish are proud of their history and the international celebrities for which they raise monuments or museums. Lead by cult author Astrid Lindgren and pop band Popgruppe ABBA. There are rumors about a revival at the moment. That would be something! 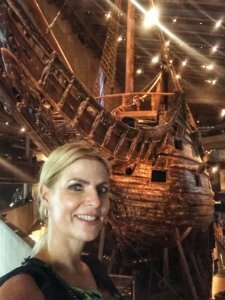 But – something I had neither thought of – my biggest surprise was the Vasa-Museum. 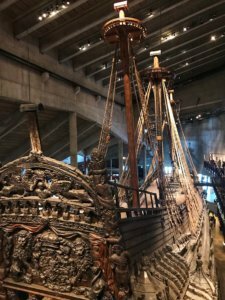 The whole museum was built around the old battle ship Vasa from the 17th century. The giant ship was recovered after it was capsized 300 years ago and rebuilt in it’s original size. It is quite cool and dark inside the museum due to the preservation process. My tipp is to start in the 7th floor and to welk down from there. Each floor has an own exhibition and tells the story of the legendary too early capsized Vasa. You will find more city short trip tips here. 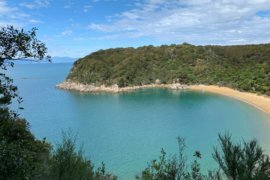 We both love to look outside the box, always try new things, love to travel and deal with trends and ideas.I'm Shane, a girly girl and lover of life. Join me on the journey to find latest in fashion.